It's that time of year that our town hosts the county fair, and our son and daughter want to go on all the rides. As I have become older, I noticed that my stomach does not agree with the rides that spin a lot. So, before going this year, I decided to look at the my reference book from Dr. Scott A. Johnson to see if there were any recommendations for preventing motion sickness. 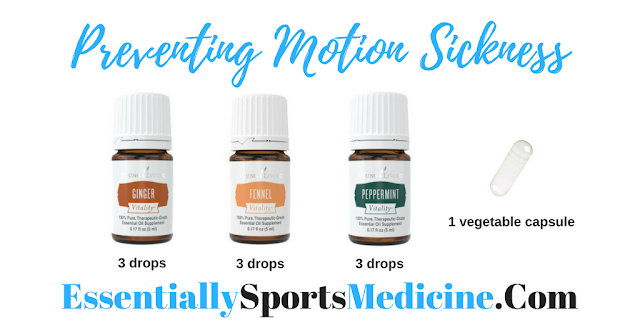 It recommended placing 3 drops each of ginger, fennel, and peppermint oils in a vegetable capsule, and taking it at least 30 minutes before riding. It was a success! I rode rides for over three hours, and felt great. No more motion sickness for me!